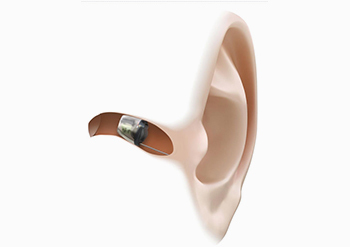 If you are searching for discreet hearing aids in Hawaii, then we have just what you need at Family Hearing Aid Center. In addition to offering our patients the leading NeuroTechnology™ available, we also offer state-of-the-art Lyric™ and Primax™ hearing aids that are not only virtually invisible, but have also been proven to boost hearing clarity and improve cognitive function. Today’s wireless hearing aids have made it possible for people with hearing loss to get the ultra-compact size they want and the better hearing they need. These tiny devices are custom fitted and positioned deep in the ear canal, making them virtually invisible. What Are the Benefits of Invisible Hearing Aids? The hearing aid delivers every single one of the blockbuster features consumers have come to expect, with some noteworthy industry-firsts. Stereo Bluetooth streaming – Streaming from iPhone, iPad, MacOS, Android, Windows, and any other Bluetooth-enabled audio device. Hands-free calling in stereo – True hands-free calling from Bluetooth-enabled phones and VOIP services like Skype. TV Streaming – Marvel can stream directly from Bluetooth-enabled TVs, and can also stream from the Phonak TV Connector accessory. Rechargeability – Marvel promises a full day of hearing aid use from a single charge. At-home adjustments – Marvel hearing aids can be adjusted remotely by your hearing expert. Moisture protection – As with most Phonak hearing aids these days, Marvel hearing aids have a high IP68 rating. RogerDirect – For the first time, users will be able to stream Roger directly to their hearing aids. Phonak hearing aid technology – Phonak has a great reputation for helping users hear better in background noise. Streamlined remote mic, that also connects to anything Bluetooth and can stream in that way too. Own Voice Processing (OVP) via E to E. Dual processing and train hearing aids to recognize a patient voice. Training takes 10 seconds. Count from 21 and up. Can adjust aggressiveness. Can have more closed fitting and still have streaming sound better. Telecare. Video and voice conferencing. Full remote tuning with video chat only. Will need webcam. Need any smartphone on patient side. This exclusive technology allows our patients to fine tune and adjust their prescription setting for any environment, allowing you to discretely and in seconds fine tune your prescription setting, making your life easier and the quality of your interactions better and improving your mental cognitive health. At Family Hearing Aid Center, we stand behind the products we offer our patients. That’s why all our hearing aids come with a 45-day risk-free guarantee. Try our products for 45 days and if you aren’t pleased with their performance, you can bring them back in and we’ll refund your money or find a product that works for you. When our specialist has made a hearing aid recommendation, you will be able to choose the right Hear Again Treatment Program for your needs. Our Treatment Plans include a Silver, Gold, or Platinum Plan, making sure that your hearing aids are cleaned, tuned, adjusted, and tested once every three months, plus many other benefits varying among plan levels. We can also provide you with essential information for preventing further hearing deterioration and why it should be avoided. Your hearing and health are of utmost importance to us and we will do everything in our power to help you hear clearly once again. Ask our friendly team for more information when you come in for your consultation! Click the link below today to schedule your complimentary Family Hearing Consultation, and learn more about your options for hearing aids in Hawaii from Family Hearing Aid Center. Let us show you how discreet today’s hearing technology can truly be with our custom-fitted invisible hearing aids. We look forward to meeting you!